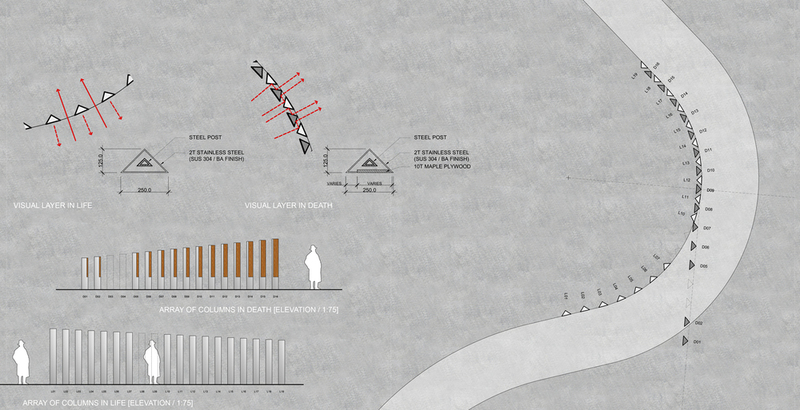 Perceptual transition provides the sequential experience as visitors meander along the landscape path. 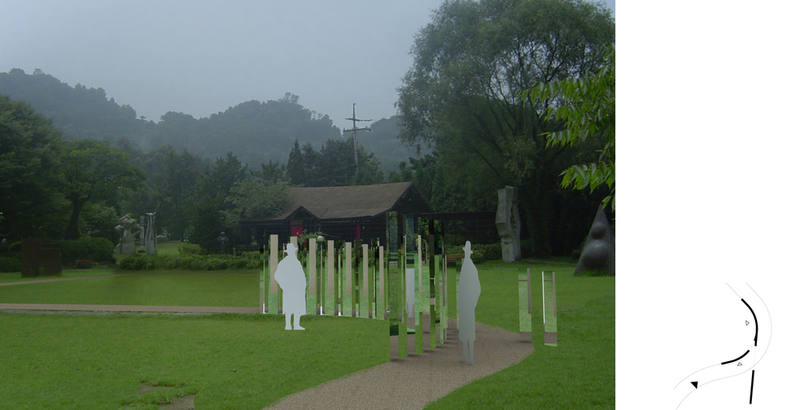 As visitors stroll along the path, they encounter a moment where transition of perspective happens. A row of reflective triangular columns with spacing in between creates a visual layer and exchange that allows one to reflect himself as well as other surroundings. At the transition point, a new layer representing death merges and overlays onto the existing layer of life. The new array of columns now only shows the surroundings, the world without your. One experiences a seamless and momentary transition from life to death. Between life and death is only a breath apart, only a step apart. Life goes on for those living without a pause. 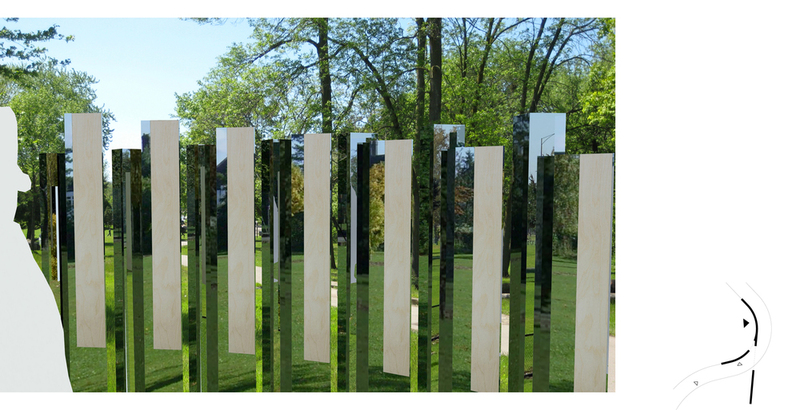 Columns along the layer of life have three-sided stainless steel BA finish for full reflection. Whereas, those along the layer of death have partial plywood finish on the frontal face and the others re reflective surfaces. When two rows are merged, angled reflective surfaces created layered images of only the other side not yourself.